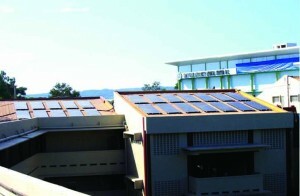 RP’s BIGGEST, Thin-film solar power system at the rooftop of Holy Name University. With a new 100 kilowatt solar energy facility capable of, Holy Name University (HNU) in Bohol now holds the countryâ€™s record for the biggest thin-film-solar module technology. 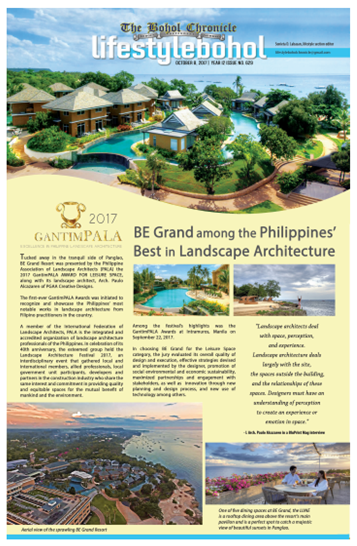 HNU, an educational institution run by the Societas Verbi Divini (SVD) or the Society of the Divine Word, said that the facility stands as a testament of their environmental concern as well as their commitment to the advancement of green technologies. The new power-generating facility produces an estimated combined energy to run about 120 air conditioning units however covers only 1/6 of the schools requirements, according to Fr. Francisco Estepa, SVD, school President. 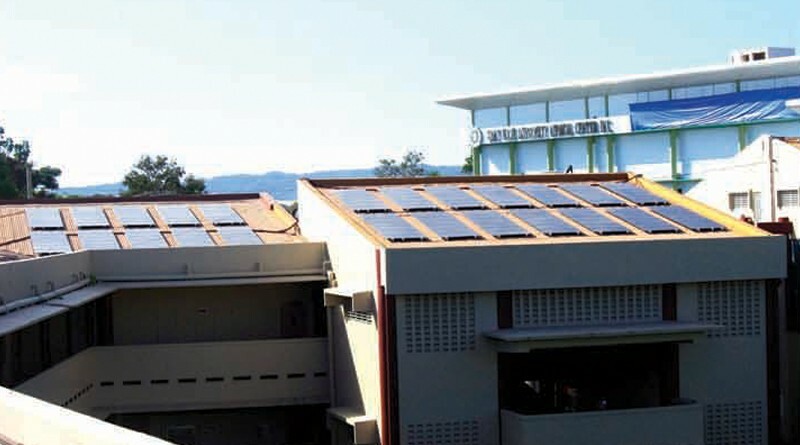 Solar facility installers, ORION Group International Incorporated said HNU is the first institution in the country to use cutting edge 100 kilowatt photo-voltaic solar technology to tap and harness the solar energy for school use. 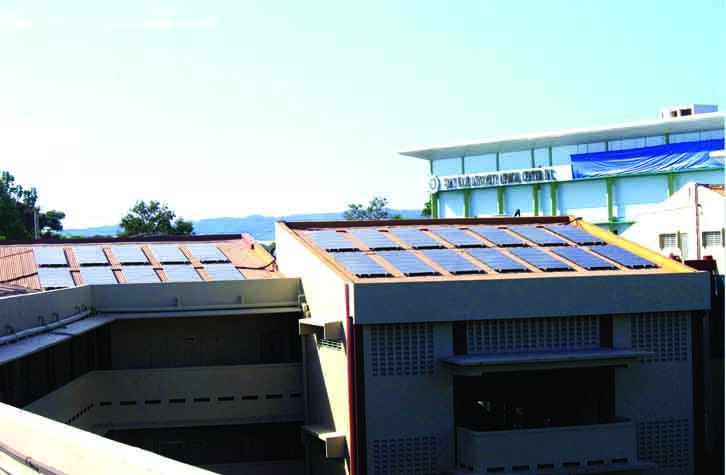 The facility uses 1080 photo voltaic cells which are now lined-up at the rooftop of HNUâ€™s Scanlon Building, in their Dampas Campus. HNU, a school which has always impressed and advocated for clean energy said the use of clean energy that reduces carbon footprint contribute to the universal effort to minimize the threats of global warming. During the project launching at the HNU Scanlon Building, April 15, HNU trustee and nationally acclaimed physicist, electronics expert and school administrator Dr. Christopher Bernido, called the SVD achievement as pioneering in the countryâ€™s solar energy advancement. He also detailed how people have been consuming energies from the earth and then from the sun. ORION group president, Engr. Rynor Jamandre said that the HNU facility saves the world 11,251 gallons of gasoline, or some equivalent of 48 metric tons of coal. In modern waste recycling facilities converting for energy, the HNU facility equals the energy generated from burning 35.8 metric tons of weight, he illustrated. This, he pointed out, redounds to an average of 109,000 monthly savings in power bills for the school as it is capable of producing 145,000 kilowatts annually.